blog | What Are Grrls Made Of? 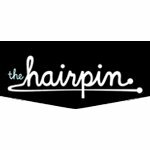 The Hairpin is a website aimed towards intelligent females (males can join in, too!) that covers a variety of topics – basically anything including dating, television, books or even discussions about the hunt for the perfect natural deodorant. There’s a great feature called “Reading Between the Lines” where two of the writers dissect seemingly innocent texts. The Hairpin also encourages original content from their readers, so it serves as a great tool for girls and women to get their work out there and in front of an audience. Posted in Websites and tagged blog, hairpin, resource. Bookmark the permalink.